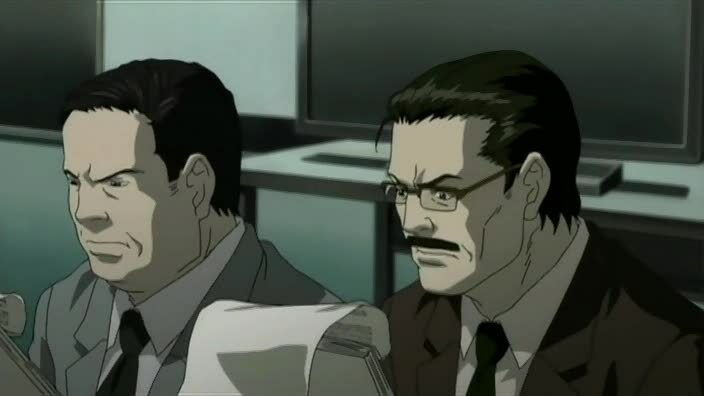 Light’s father is the police chief heading the Kira investigation and he’s been pulling all-nighters over at headquarters. Based on the times the heart attacks occurred, L posits that the murderer is likely to be a student. 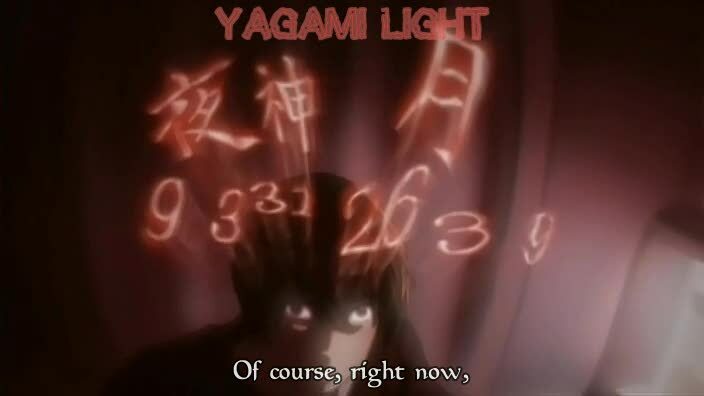 Light tells Ryuk that he has a trump card in his father if the police go after him and then goes downstairs to eat dinner with his family. 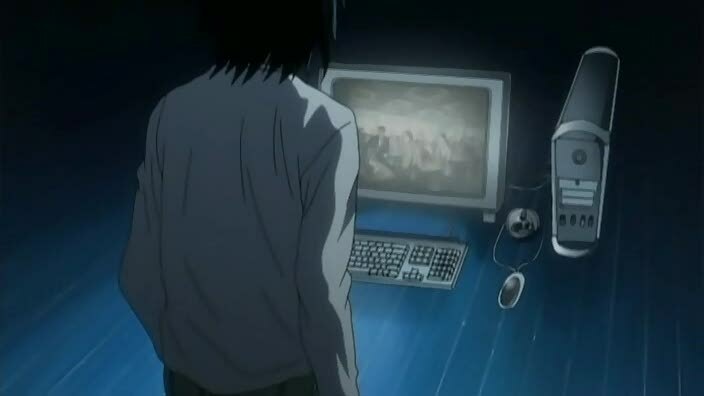 After eating, he tells Ryuk his ability to access the police’s files through his father’s computer and finds out L’s student suspicion. So he recalls that he can write the details of a death, including the time, within 6 minutes and 40 seconds of putting down a name. The next couple days one person dies every hour and the police start moving away from their student theory. 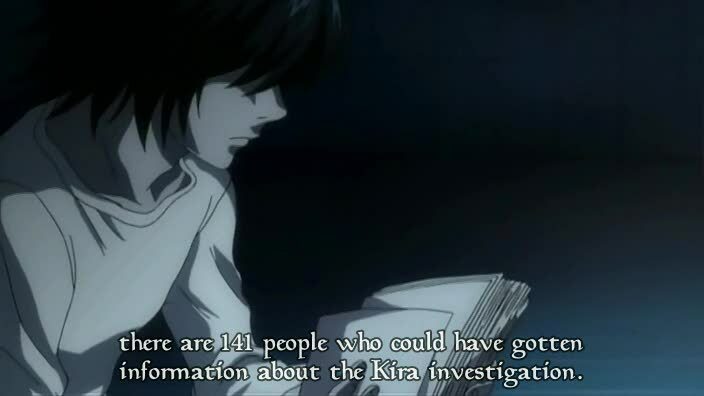 However, L isn’t particularly fooled as he says it means Kira has the ability to decide whenever people die; he secretly suspects that Kira has found a leak into their files. 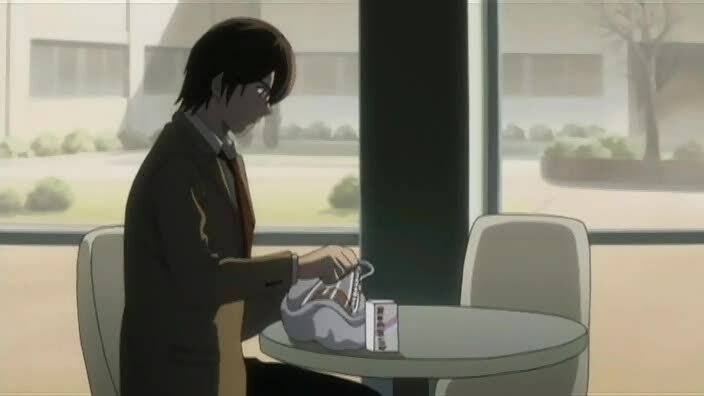 Light tells Ryuk on the way home from school that he’s cleverly caused L and the police to begin investigating and doubting each other, thus hampering progress on finding Kira. 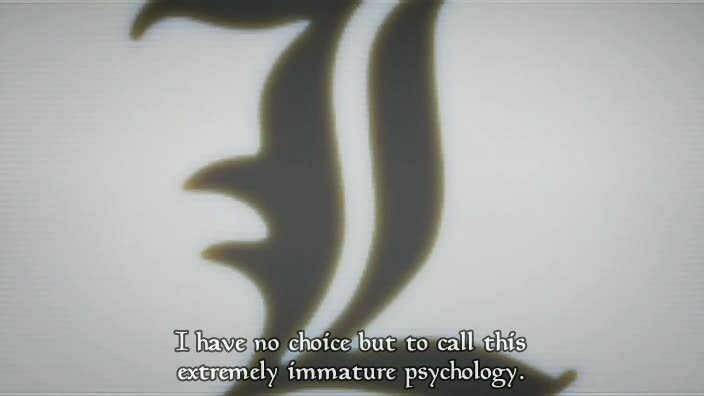 Members of the investigative team begin resigning in fear for their lives and asking to be transferred. L gets information on everyone close to the investigation and focuses on the chief’s sheet. 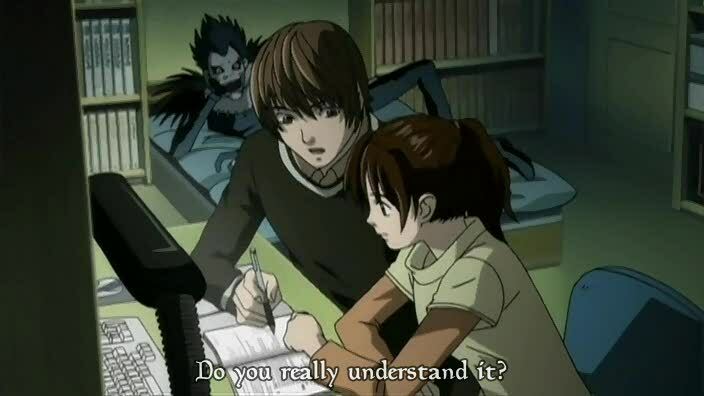 Ryuk tells Light that been followed for a while now and Light starts worrying a little. 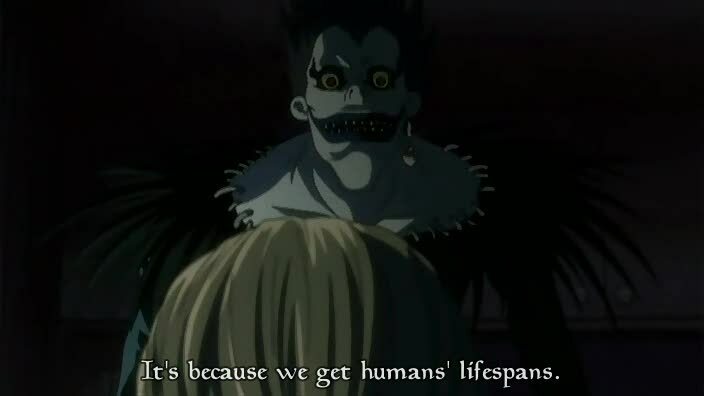 Then Ryuk tells him about how Death Gods get humans’ lifespans if they cut their lives short and about how a Death God can see a person’s name and lifespan just by looking at their face. He claims the cost of half the human’s remaining lifespan for one Death God eye is a “bargain” and asks him if he wants to make a deal. 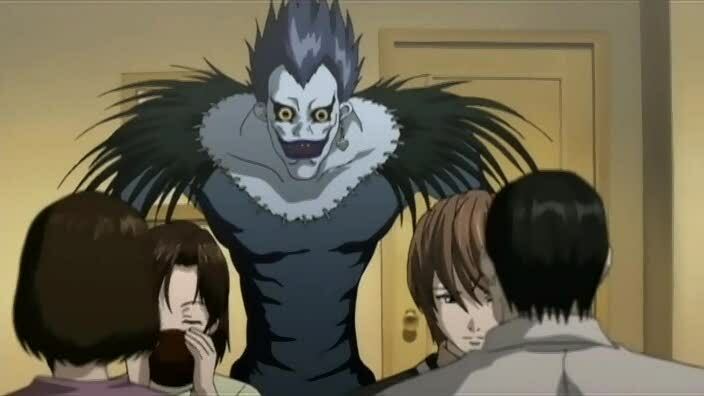 It’s strangely funny to see Ryuk hover over Light’s family while they eat dinner or wandering around a classroom. I guess he’s captializing on that “no human but Light can see me” rule. 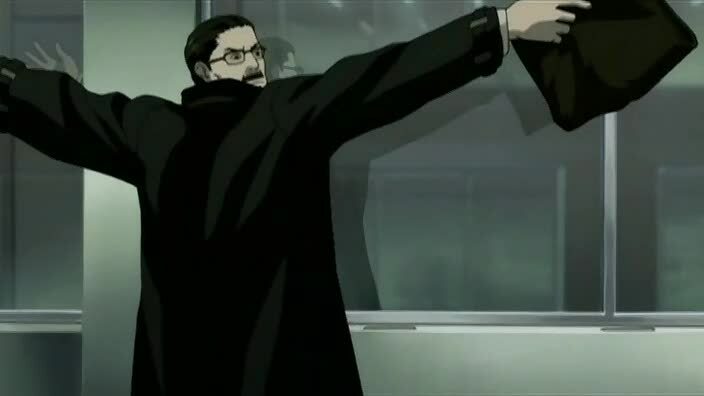 I liked Mr. Yagami’s (aka Soichiro-san) little conversation with that one detective because it showed he had a sense of humor and understood why he brought up the fact that violent crime has decreased since Kira appeared. 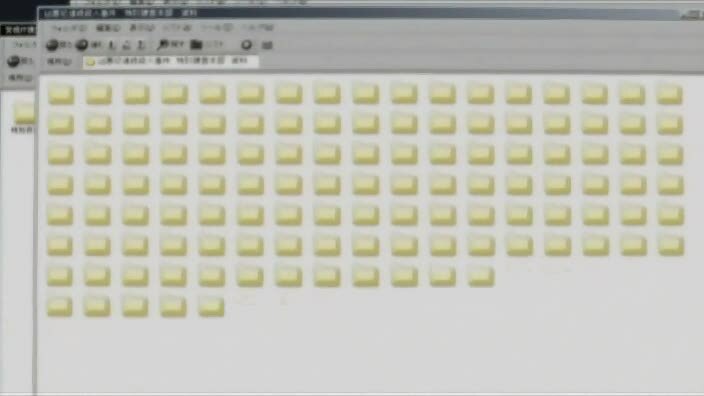 There were many shots of L’s computer hardware in this episode and his system looks a lot like a Mac G4 tower with the handles on top alongside a grey flatpanel monitor. There’s even the circle-shaped speakers and a one button mouse! Man, until the anime came out, I was never interested in Death Note, but I am so addicted now! The plot just keeps getting more and more interesting and suspensful! I’m really impressed so far, with how much thought and detail the writer put into this series (the original manga author). Wow.